The operation of VFDs often results in a technical compatibility problem with residual current circuit breakers. Energy-saving VFDs are increasingly used in building services engineering in conjunction with residual current circuit breakers. For personal protection against electric shocks, 30 mA residual current circuit breakers are prescribed here. The use of residual current circuit breakers with a threshold value of 300 mA is prescribed in plants in the paper and wood working industry to protect against electric fires (caused by undesirable earth currents). Even when Energy saving VFDs are used correctly, incorrect tripping of residual current circuit breakers is also caused by elevated leakage currents induced by VFD operating conditions, as the circuit breakers cannot distinguish between leakage currents and genuine residual currents. In addition to leakage currents at system frequency, VFDs also generate earth currents dependent on the length of the motor cable, the parasitic capacitance of the motors and the switching frequency set. Unnecessary responses of residual current circuit breakers incur significant cost due to production loss and downtimes of production plants. When operating VFDs, compliance with all standards and guidelines must be ensured, particularly in connection with residual current circuit breakers. EMC filters of the wrong size will not suppress the VFD leakage current (earth currents) sufficiently or will increase them considerably as a result of resonances with the system impedance. Residual current circuit breakers will be tripped inadvertently as a result of these excessive leakage currents. EMC filters that are too small will be subject to magnetic saturation and the requisite EMC limit values will therefore no longer be met with the variable frequency drive. As a result, reliable function of the protection device and compliance with the EMC directives will consequently no longer be guaranteed. 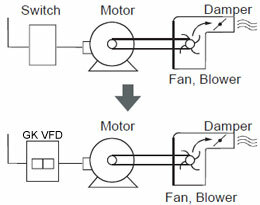 Leakage currents vary according to the overall design of the VFD system and the VFD regulation. 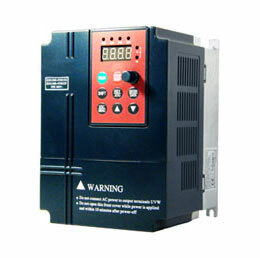 The following variables are particularly relevant: system voltage, motor frequency, frequency of pulse width modulation (PWM) in the VFD, length of connecting cable, motor type. 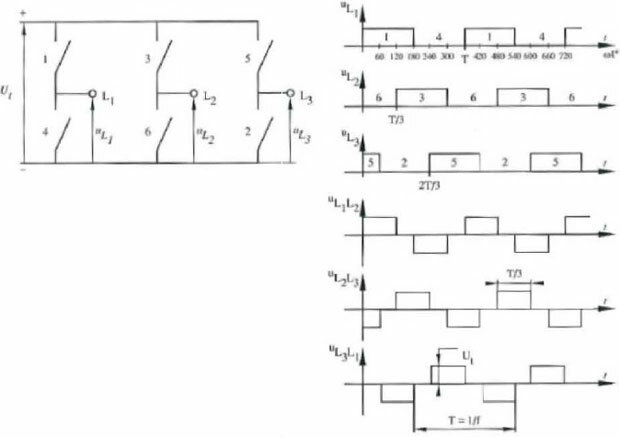 The VFD leakage currents are also heavily influenced by the system impedance, resonances in the circuit and the characteristics of the EMC filters used. The typical use of a VFD system is shown below in the form of a block diagram. As the VFD currents have capacitive, inductive and ohmic parts, they should be viewed vectorially and added as such. This means that the metrological recording of the currents is not without its problems. In addition, the different frequency parts must also be taken into account. The main task of a residual current circuit breaker or a residual current protection device in general is to interrupt a circuit in the event of a VFD malfunction. The electronic switch measures the incoming and outgoing current of a device or system. If it establishes that these two currents are not identical, it will interrupt the circuit, as the current flow has (possibly) taken a hazardous direction somewhere - due to an insulation failure. This residual current can be caused by a person touching a conductor and the body of this person directing the circuit towards the earth. The residual current circuit breaker protects the person by very quickly interrupting the circuit, thereby preventing any further injury. A typical application for residual current circuit breakers in conjunction with VFD technology is shown below. A basic problem is the unnecessary deactivation of a system when the residual current circuit breaker trips incorrectly. The residual current circuit breaker does not distinguish between leakage currents and real residual currents! Residual current circuit breakers should be used in wood working machines and printing presses to protect against fire. In heating, ventilation and air conditioning applications in buildings or in lifts and escalators, residual current circuit breakers protect persons against an electric shock. The reliable function of electrical installations and equipment must be guaranteed through the EMC directive. 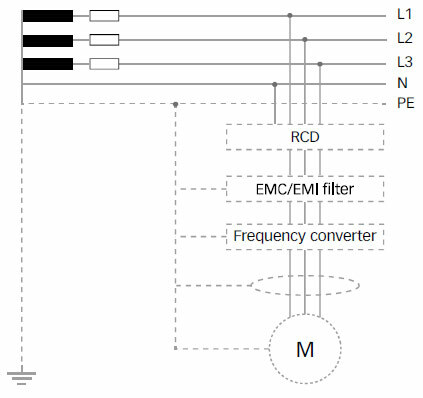 Unsuitable EMC filters will not suppress the parasitic currents sufficiently at the switching frequency or will even cause an elevated leakage current due to resonances with the system impedance. The EMC filters can become subject to magnetic saturation and as a result will no longer provide the required damping quality. The protection aims will therefore no longer be met with EMC filters of the wrong size as the residual current will be unintentionally switched off. Following diagram shows the tripping characteristics of a residual current circuit breaker. 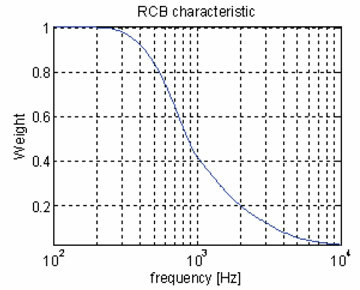 The current ratio (weighting) as a factor of the frequency is specified. A current ratio of 1 means a standardised tripping current (i.e. 30mA or 300mA, for example). The test conditions and the standards are also listed.